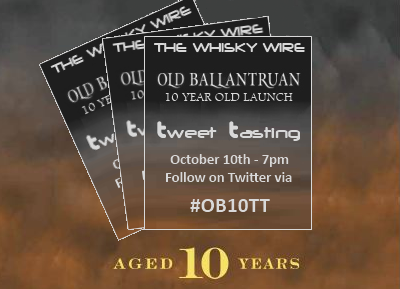 On Wednesday evening we continued our online dramming mission of bringing whisky into the homes of the people, by hosting a very special Tweet Tasting event as part of the official launch for Old Ballantruan’s new 10 Year Old expression. Yet again it was another hugely successful event that managed to trend on Twitter as the third most talked about topic in the UK. 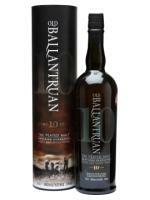 In addition to our intrepid international group of Tweet Tasters, we were also joined by Robert Fleming, Master Distiller of Tomintoul; the distillery behind Old Ballantruan. On the night we sampled their fabulous standard no age statement bottling, followed by their superb new 10 Year Old release. @themisswhisky Caramel popcorn, fresh grilled fish by the seaside like those lovely sandwiches from street stalls in Istanbul. @TWSYork Some nice sweet notes on the nose, including a confectionery note & a barley-grist quality. Musty leaves & chillies in brine too. 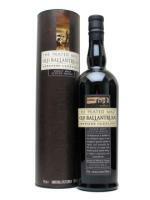 @LRWhisky On the palate it's slightly chewy, some tobacco leaf mixed with charred BBQ steak and wrapped in liquorice. @ifotou Sweet and mellow a little white wine like. Hay and wheat, some smoked campfire smells mixed with fleshy fruits. @TheWhiskyWire Lemon Posset with shortbread biscuits. @WhiskyDiscovery Wow really creamy on the palate, the lemon cheesecake is right there, digestive biscuits and all. Light pepper kick near the end. As ever these are only a mere hinted highlight of the tasting notes from Wednesday’s Twitter trending Tweet Tasting. 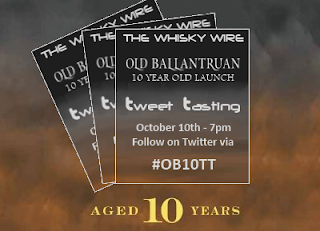 For a full lowdown head over to Twitter and search hashtag #OB10TT. A huge thanks to everyone who took part and followed last night's tasting dramanagins. There are plenty more Tweet Tastings to come, so if you would like to be one of our Tasters, register your interest and contact details now by emailing via the contact tab marking the subject line ‘Tweet Tastings’.